Crispy Cooker Mat - No Fat! Fat free cooking! No need for a deep fryer, oil or butter! 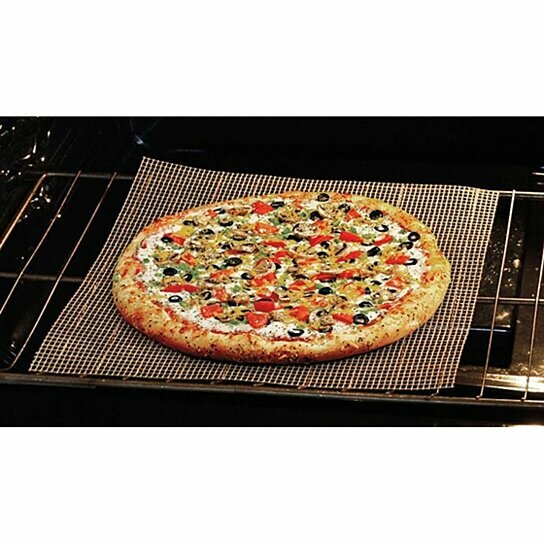 You won't believe how deliciously crispy and mouth-watering good food will be when you use the Crispy Cooker Mat. Call this Fat Free Oven Frying... because that's what it is! Enjoy the taste and crispiness of pizza, chicken nuggets, egg rolls and especially oven fries...oh don't get us started on the oven fries. You will make the best, practically no-fat, fries with this Crispy Cooker Mat. The Crispy Cooker Mat's interlocking design allows steam to escape and heat to circulate so your food cooks crispy every time. An added benefit is that your food will cook faster too! - Great on the grill too! - Measures approximately 14" x 17"